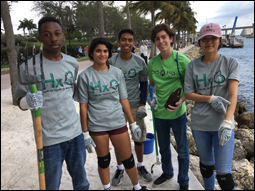 FBA is partnering with Bayfront Park Miami in effort to clean up the beautiful Biscayne Bay shoreline connecting Bayside and the Miami River. Come volunteer and enjoy a beautiful day downtown while making a positive impact in your city. 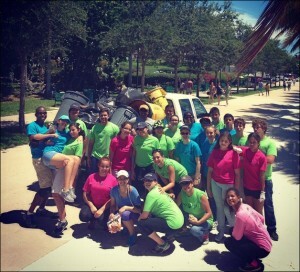 Your day of service will include a picnic lunch in the park, water, snacks, and community service hours. 1. Please confirm your participation and whether or not you need transportation no later than, Thursday, September 18th by emailing us at info@foreverbloom.org or by submitting the FBA Volunteers RSVP Form. Volunteer spaces are limited to adult and teen volunteers 15 years and older. 2. All new FBA volunteers must complete the online FBA Volunteer Enrollment Form. 3. All FBA volunteers under age 18 must download and have a parent complete the FBA Volunteer Health Statement. 4. 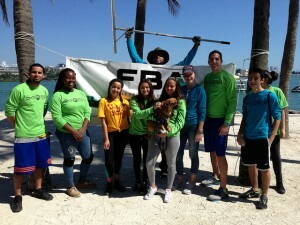 All FBA volunteers must purchase a $15 FBA t-shirt to wear during the event. Volunteers may also wear older FBA t-shirts. Activities: Shoreline clean up, preparing snacks, raking sand areas, promoting event, etc. 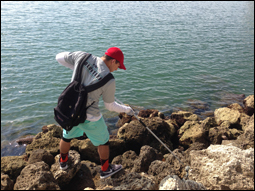 Many thanks to volunteers who have earned 50+ Community Service Hours at past cleanups.